"I have to agree with the other reviews. Jane is the best when it comes to training your dog. It does not matter how bad or wild the dog is. She can train them all. She is patient and uses positive methods to train dogs as one review said. I would recommend her to anyone who wants to train their dog." "Jane is easily the best, most knowledgeable trainer in Hyde Park, and gets my enthusiastic recommendation. Forget the shouting and 'dominance' antics that make you look ridiculous in the park - Jane understands the canine mind, and has a great manner both with dogs and people. We benefited from her puppy kindergarten classes, for the structured socialization, positive training, and quality bonding time. She transformed our relationship with our new dog, and he's grown from a nervous, stubborn pup to a confident, wonderful companion. Our dog adores her, and she takes time to deal with your individual concerns one on one, as well as in group work situations. We found her trained eye and tailored advice to be generally excellent, and well worth the cost. 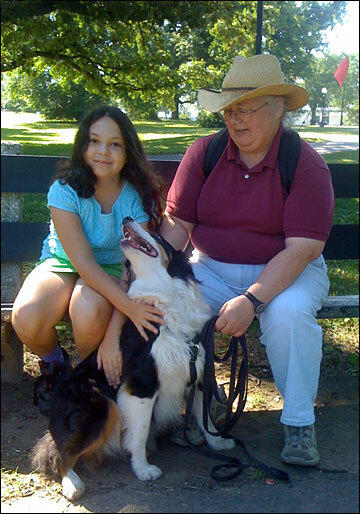 We look forward to starting classes with her again this summer, and meeting other dogs and their owners!" "Since I first wrote a review for Canis Sapiens, we have completed 8 sessions in the puppy kindergarten class. Still don't have enough good things to say about Jane and her staff. The class provides a great opportunity for our dog to play with other dogs. Also, even though the class as a whole is learning a specific skill, Jane moves around and spends individual time with each dog, giving feedback on specific concerns the owners have. We are signing up for another round of classes for sure!" "Jane is the best trainer I've been to, and I've been to a lot. She is in touch with the dog psyche to the extent that humans can be. She gives practical and effective advice, and has been very helpful with those particular questions that I've had about my dog." "This is a WONDERFUL class. Jane Masterson, the teacher, has a very gentle, friendly style of teaching so the dogs love the class and can’t wait to get into the room. (She is also a very funny, smart person , who helps you to see how your dog thinks.) This teaching method has been very effective for training my puppy. I now am kicking myself a little for having taken my previous dogs to a rougher (pull-on-the-collar) training program. Both methods work, but this style is supposed to produce a more flexible, confident dog- and again, the sessions were a lot more fun and were a high point of my puppy’s week." "Jane Masterson and the team at Canis Sapiens have been a great help. After moving to Hyde Park with a highly reactive and poorly socialized rescue dog they have been great teaching her how to behave while out on walks in the neighborhood. They use positive training and are very supportive and committed. I love the one on one attention of the private lessons and they are very accommodating to your own time schedule." "Our dog loves Jane! The classes have helped train the dog and us. We especially like the pup crawl class that's helping our shy dog like visitors a lot more. Tracking is fun for humans and dogs alike and is on Saturdays when we have more time to spend with our dog." "Jane is a wonderful trainer. She only uses positive methods in her training and our old dog learned many new tricks. She taught our dog to respond to both hand signals and verbal cues. She was very helpful in solving behavioral problems that developed. Previously, I had taken my other dogs to two different trainers. Both used harsh corrections in their training which scared me as much as the dogs. I am so glad we found Jane. 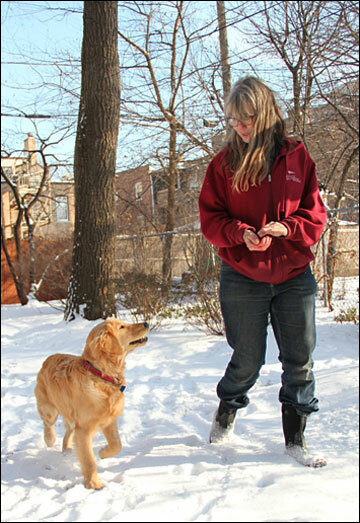 She makes training fun for the dogs as well as their owners. "Jane is a truly gifted trainer, with a real knack for thinking like a dog as well as great sensitivity to the problems and feelings of dog owners. She totally transformed my puppy from a dog I had come to regard as stubborn and untrainable into a joyous and playful companion; she made me see what I was doing wrong without making me feel ashamed of myself, and helped me to figure out what would make the dog responsive and cooperative. 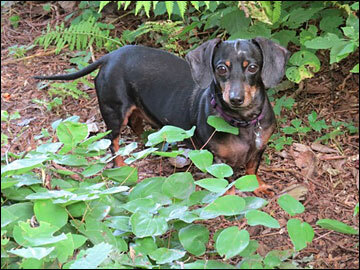 It was a great relief to me to use only positive reinforcements as I hate to make a dog unhappy, and this way was so much more fun than the harsher methods, and just as effective." 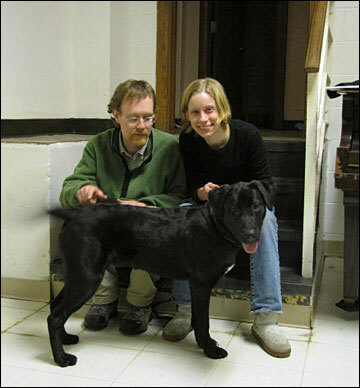 "I went through puppy classes at Canis Sapiens with my two Kangal Dogs. I had always trained on my own before, with a smattering of knowledge gathered from books and well-meaning advice. I figured with two puppies, I had better take classes with a professional. I chose Canis Sapiens because I liked the philosophy that I read about on their website. These classes were completely different than any sort of dog training I had tried in the past. After a few weeks, I was completely transformed. The emphasis is on your relationship with your dog and what a beautiful thing! Jane also has tons of resources that she will share with you if you are the type of person who wants to study more in-depth. The more I studied, both in class with Jane and by reading, the more I changed completely in how I viewed dogs. I have always loved them, but I grew to see how dogs and humans interact in a very unique way. I appreciate the focus of Canis Sapiens- community education (especially children), canine sports and fun activities, and a system of training based on principles of respect and bonding with your dog. My favorite things were the foundation games, from Chris Bach's Third Way. I am so glad to have brought my pups to Canis Sapiens for a good start in life. I do want to say how very much I appreciated all your patience and good advice. I do think you've made a big difference in MacPherson's life and our life too, so thank you very much."